What Happened To The Rapture Harold? Well it’s May 22, 2011 and we’re all still here! 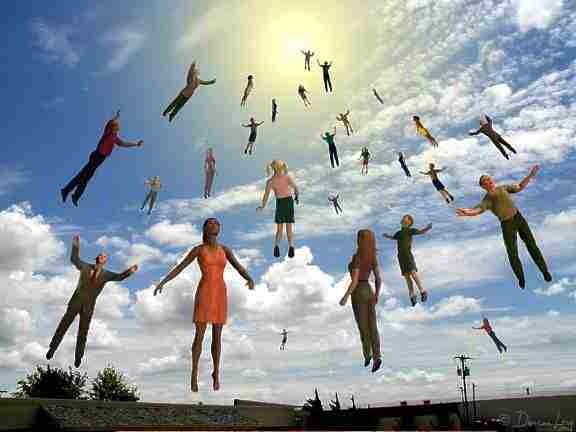 I guess Harold Campings May 21st christian rapture prediction was wrong again for the second time, shocker! He predicted to world was going to end on September 6, 1994 and it didn’t. I wonder how Harold is feeling today knowing that he spent millions of dollars convincing people that all of the christians we’re going to float up to heaven to meet Jesus today … and they didn’t!!! The fact that so many people bought into this is ridiculous! Good thing you guys spent all of that money putting up billboards everywhere to warn people about the Judgment Day!! People spent their life savings because they figured that they weren’t going to need it in heaven!! There’s probably a lot of broke families today. I wonder how all of those people are feeling knowing that they now have no money and they’re still alive on earth! I’m guessing they’re feeling prrrreeeeeeetttttttyyyyy dumb for believing good ol’ Harold!! The funny this is non-christians we’re accepting money to watch over the christians pets while they go to heaven! What an amazing scam lol. Honestly, Harold if I were you (thank god I’m not) I would probably law low for awhile and maybe even fall off the map because we all know you didn’t float off the map! There’s probably a lot of angry people coming to look for you so good luck with that! Maybe Sir Isaac Newton was right and the rapture will happen in 2060! I guess we’ll just have to wait and find out unless good ol’ Harold Camping predicts May 21, 2012 or the world really does end in December 2012!! Finally after several months of pre-production work and scheduling conflicts we have now an official shoot day for “There Goes The Neighborhood!” We will be shooting the entire film this coming Sunday May 15th! One day shoots are always rough for an entire film but I have put together my usual film crew (Producer Adam Kaplan & Director of Photography Dominic Easter) to make sure that things run smoothly! We had 2 rehearsals with the cast to really work on the dialogue and block out the scenes! I really like how the performances have been with the cast and I believe this is gonna be a great film! This is a comedy-turned-action film about a DEA Agent going undercover under the name of “Willy Doit” and how he takes down a major drug supplier! Writer/Actor Jason Galotti had originally came to me with another script that we were gonna shoot but we decided to shoot this one first! Once I read the script I thought it was very funny and after a few drafts it became even funnier! I’ve always wanted to direct an action sequence where Federal Agents or Police raid a house so the fact that this is a part of this film is super exciting for me! I’m really honored that Jason asked me to Direct these films and I’m really excited to work with him! I look forward to bringing another great script to life! Stay tuned!